Workers in the Vineyard of the Lord. Silvano Maria Tomasi, the love for the Truth Behind the «bite and devour». Holy See improves anti-money laundering Vatican law. Sheriff defends law. He brings everybody into line. And honest people is happy. This is what could happen in an ideal world. But many discontent the arrival of a sheriff. Honest people feel in peril: they work behind the curtain, they know that the only way to change the balances of a «corrupted» place is to work attentively and select youth and honest people to replace the old and dishonest ones; dishonest people cannot stand to see their world turned upside down. Sheriff discontents everybody. He eventually needs to leave, not to be killed. Sheriff, in this story, is msgr. Carlo Maria Viganò, now Papal nuncio to the United Stated. From 2009 on he has been no. 2 administrator of the Vatican City State. His previous post was as head of personnel in the Vatican Secretariat of State. Even from as head of personnel, he discontented many. For example, he wanted all the dependants to clock in and out. That is when the shooting of sheriff is planned, with the logic and lucidity that just the small worlds can have. And Vatican is unquestionably a small world. Carlo Maria Viganò’s story swept the world. The letters he addressed to Pope Benedict XVI and to card. Bertone, Vatican secretary of State, to denounce the «corruption » in procurements of Vatican City State administration had been profusely highlighted by the Medias. His move to the post of Papal Nuncio in Washington has been described as a punishment, a promoveatur ut amoveatur case as many have been in history – and not just Vatican history. Yet, no one seems to be innocent in this story. Viganò is not, since he claims for himself to be promoted as no. 1 administrator of Vatican City State – a charge that would lead him to be a cardinal; the «bankers» – as Viganò calls in the letters the members of “Finance and Management Committee” made up of the bankers Pellegrino Capaldo, Carlo Fratta Pasini, Massimo Ponzellini, and Ettore Gotti Tedeschi (the last of these went on to become the president of the Institute for Works of Religion) - , manager of procurements in Vatican City State are not, since they appear ready to sideline the Vatican interests for the sake of their lucrative exploitation; and the Vatican Secretariat of State is not – it seems to lack in management. While the Viganò affair was highlighted in the Medias, card. Bertone was preparing the meeting of the heads of Vatican departments (Prefectures and Pontifical Councils) about the «Process of elaboration, publishing and reception of the documents of the Holy See». During his introductive speech, Bertone pointed at the encroach of the «passion for the little news of ecclesiastical gossip, that undermines the Holy See prestige and sometimes crab the climate of confidence and trust among the Holy See’s bodies». During the meeting, nobody talked about the Viganò’s case. But Bertone’s words showed fairly that the Vatican Secretary of State – together with the Pope that presided the meeting – is working to bring some order in the Roman Curia. Yet, there is something rotten about the whole story. Too many questions remain unanswered. The most important one: why have Viganò’s letters been delivered outside the Vatican? And why had the Viganò’s letter so profusely highlighted in the Medias? There is one theory above all, collected within the Vatican walls: at the time when the Holy See has rewritten its 2010 anti-money laundering law after European inspectors found that it didn’t fully meet their tough standards to combat the financing of terrorism, Viganò’s case is depicted in a way that can be outlined as an attempt to the sovereignty of Vatican City State, «that small piece of land – Pope Pius XII used to say – that permits us to accomplish to our mission». Since Vatican City State is a sovereign entity. It has its own legislation. It has its Court. It has its police corps, the Vatican Gendarmerie. No allegation remains unaccomplished, inside the Vatican. Four letters – addressed by msgr. Viganò to Benedict XVI and to card. Bertone – has been leaked to the press. In one of these letters, Viganò denounces the counterfeiting of bills and shortfalls, hidden robberies in the pontifical villas, and he names the informers that inspired a series of articles – signed by no one – published in the Italian newspaper Il Giornale, in which Viganò’s was put under accusation. According to Viganò’s, those articles were inspired by msgr. Nicolini, then administrative director of Vatican Museums. Viganò attributes to Nicolini the «counterfeiting of bills» and a cash deficit, a «participation interest» in companies defaulting to the Government «for at least two million two hundred thousand Euros and that, prior to that he had defrauded L’Osservatore Romano for over ninety-seven thousand Euros, and APSA for more than eighty-five thousand». Viganò also accused Nicolini of «arrogance and bullying towards employees who do not show absolute subservience to him, preferences, promotions and arbitrary hirings done for personal purposes». Then, Viganò points at the denigration on him brought on by Marco Simeon, head of the Foreign Relations of Rai – the Italian State television – and of Rai Vaticano (the branch of Rai news that covers the Vatican), a man that – «according to the press» – Viganò writes – is linked to card. Bertone. On the basis of Viganò’s allegations against Nicolini, an internal investigation was carried out in the Vatican, headed by a disciplinary committee. The committee has listened to the witnesses mentioned in the prelate’s dramatic letters. As for the anonymous articles in Il Giornale, the committee concluded the «indemonstrability» of Viganò’s accusations, while after the investigations, other allegations about Mgr. Nicolini have also proved unfounded, even if the committee retained that it had encountered the qualities mentioned about his character and suggested that measures be taken. No allegation remains unaccomplished within the Vatican walls. Vatican is a sovereign entity, but it is also a whole different world. Let us see how this long-time planned sheriff’s homicide took place. Let us get back to the time when Viganò is working in the Vatican secretariat of State. At the beginning of 2009, abbé Claude Barthe writes the conclusions of his fact-finding mission in the bimonthly Catholic French magazine L’Homme Nouveau. Barthe includes Viganò and his nephew Carlo Maria Polvani, head of the information office of the Secretariat of State, among the Curial frondeurs that row against the Pope and Bertone. Some maligns that it was Polvani that delivered Viganò’s letters outside the Vatican. Once in the administration of Vatican City State, Viganò tries to change the cemented mechanisms of building maintenance procurements and of management of Vatican Gardens. Many people acknowledge that he made a worthy job. But they also remember that «he was despotic, and he did not take in consideration the Vatican office balances». In 2010, a new campaign against Viganò takes place: a series of e-mails are sent to cardinals and Papal nuncios, accusing Viganò to favor his nephew Polvani’s career. And then, in 2011, Il Giornale publishes the article by anonymous that are cipher to let understand that the time of Viganò’s in Vatican City State is over. 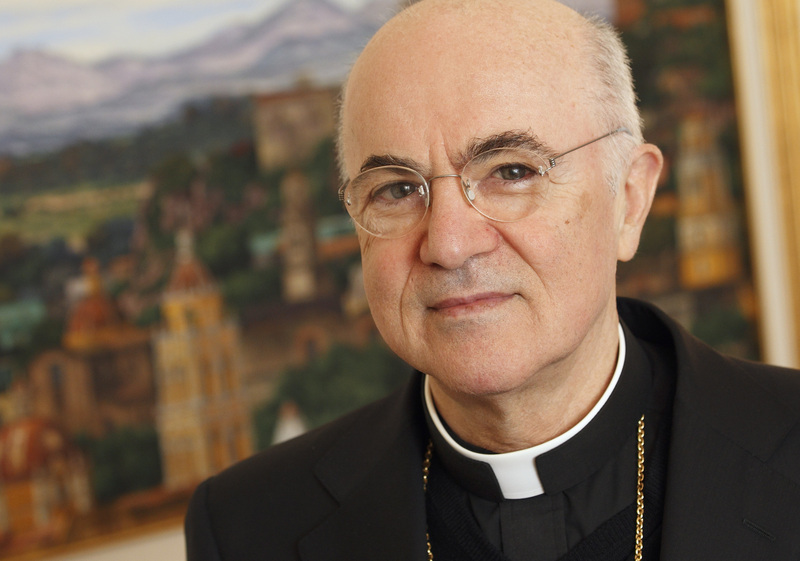 Isolated and strained, Viganò began writing letters to the top of hierarchy. The strain increased, and the Pope and Bertone needed to re-balance the situation. It was the time when they decided to send Viganò to the prestigious nunciature in Washington. More than a promoveatur ut amoveatur, it is a way to «save the life» to Viganò, that has more enemies than ever. When all seems lost, Viganò writes to Benedict XVI. The paradox of this story is that Viganò, in the end, relies to the moral authority of the Church, that is embodied by Benedict XVI. 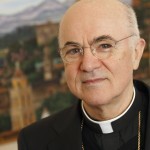 «In spite of the great damage to my reputation – Viganò writes to the Pope in July, 7th 2011 – and the negative repercussions that this provision will provoke, my response cannot be anything but full adherence to the will of the pope, as I have always done during my other than brief service to the Holy See. In the face of this harsh trial as well, I renew with profound faith my absolute obedience to the Vicar of Christ».